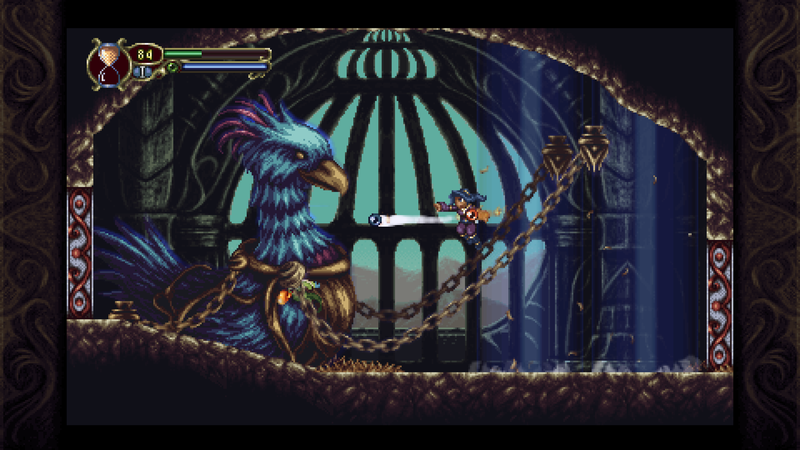 Timespinner, a thoroughly designed 2D metroidvania created by one-man show Lunar Ray Games is an excellent game, which I say here because I wrote the review. However, the game is not without its problems, chief among them a Vita port that is troubled with performance issues. Some framerate issues appear, but more concerning are full hangups during combat that are a deal-breaker to many. Bodie Lee of Lunar Ray Games recently did a Reddit AMA for Timespinner, and of course the most popular question of the day was about the Vita issues. While an end is not in sight for the matter, Lee did comment on it to the extent he currently can. There are about ~3 rooms that have lower framerates. I intend to patch them when I get the time. As for the random hitches during battles: I will see if I can fix it, but I can’t make any promises that I will be successful. There isn’t much to look at here, but there is further context to offer that pops up further in the thread. When answering questions about the porting process, which MonoGame was used for, Lee noted the Vita port as being difficult, although there wasn’t further elaboration. He also noted that he thought cross-save was functioning in Timespinner, until realizing it didn’t after the game was certified. He gave a similar answer to questions about that, saying he can’t promise he’ll be successful. It sounds like the Vita was a tough cookie to crack, at least compared to the PS4. Hopefully the attempts to clean up the Vita version of Timespinner will work out, because it’s arguably the perfect platform for this sort of game.